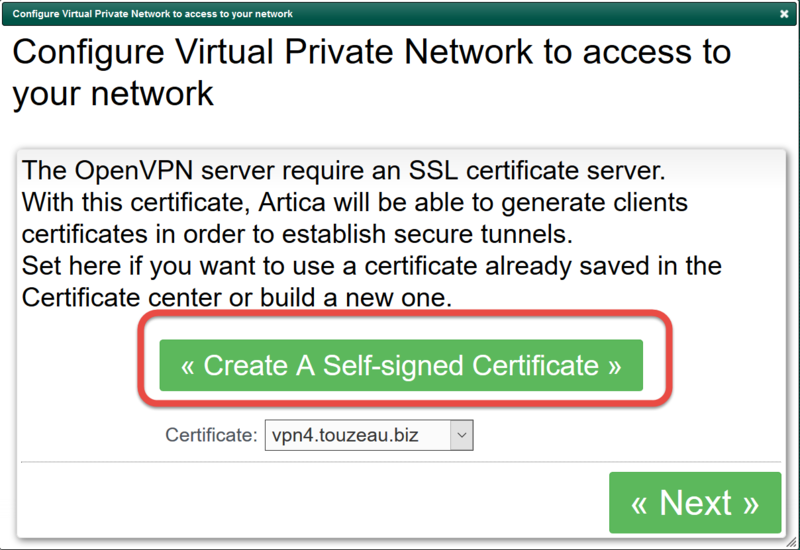 The VPN server can handle both remote Artica servers to link remote sites and roaming users. It allows users to be connected to the local networks outside the company. Click on the main button Enable this service to launch the wizard. 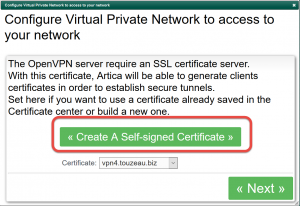 The first step is to create a certificate in order to build a secure connection. 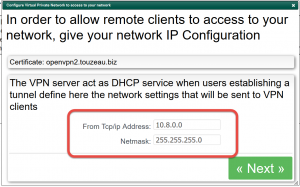 The VPN server will act as DHCP server when users establish a connection. 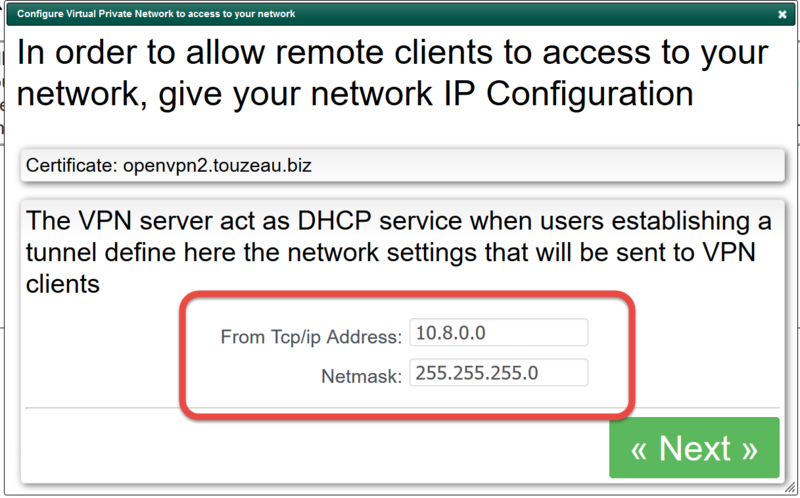 Set the network that will be serve by the VPN DHCP service. It must be different than the local network. 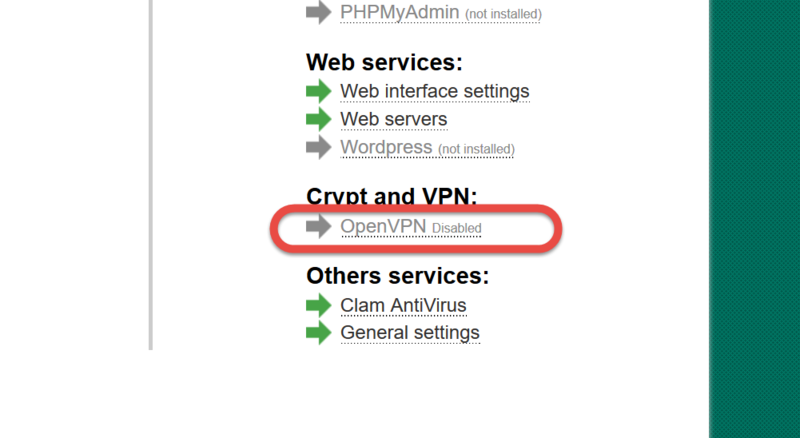 Artica is able to build OpenVPN client settings. 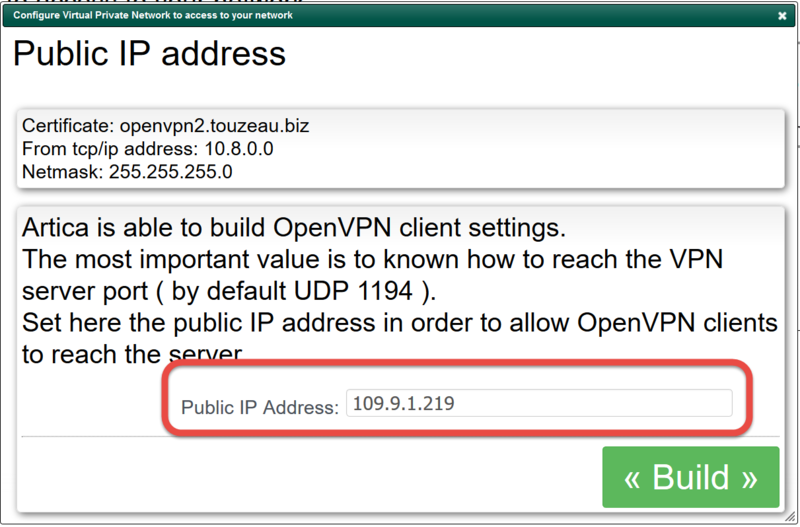 The most important value is to known how to reach the VPN server port ( by default UDP 1194 ). 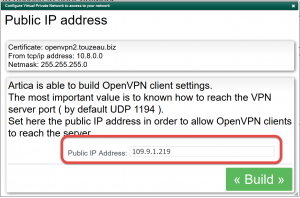 Set the public IP address in order to allow OpenVPN clients to reach the server. Interface will be refreshed and allows to disable the service if you did not want to use the VPN service.